We have multiple choice question entry & selection software, where we prepare question bank by books written by professors of reputed organization. All questions in the Question Bank have to be verified and correct. Questions are indexed and tagged in the question bank software according to Subject/ Unit/ Chapter/ Topic/ Category/ Difficulty Level/ Type of question etc. For conducting Exams, Practice tests, Test series, Online Test etc. 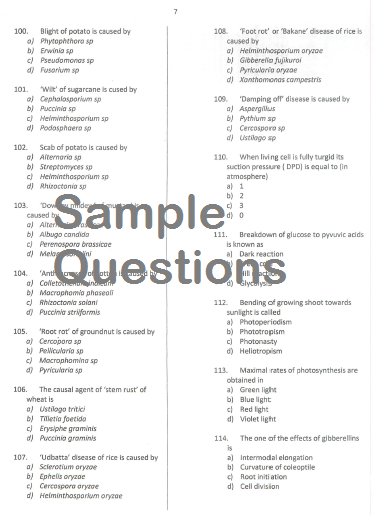 Multiple Choice Questions (MCQ) are randomly selected from the Question Bank. These question papers can be printed on paper as well. Selection Organizations, Coaching Classes face a lot of problems regarding preparation of question papers while conducting competitive exams and institutional tests on daily, weekly and monthly basis. For this, teachers and computer operators are involved investing too much time and efforts. This Question Bank Software reduces all that greatly and helps in Quick Test papers preparation. One only needs to specify the composition and structure of the question paper and then can finally select questions within 2 minutes. Question selection format can be selected according to your requirement with answer keys. These question papers can be printed on paper as well. Question paper can be set according to desired category/ type/ difficulty level depending upon your specific requirement. Besides question papers, you can also create subject wise/ post wise assignment sheets. The Question paper generator software can create test papers from one or more than one subject/Category/post etc. Almost all recruitment examinations, aptitude tests and online exams bodies having the questions set by a team or individual professors. We are following the same way. We have capability to set Multiple Choice Question paper and Subjective type question papers. We have a team of professors and panels from different universities in all subjects. They are capable to set any type of question papers and content development as per syllabus. We develop questions for degree & diploma level, engineering colleges, recruitement examinations etc. We need a complete syllabus to prepare question papers. The question paper set by one professor and verified by another professor that makes transparency and double check of any errors found. We do proofreading, spel check, language check to eliminate any kind of errors found in question paper. We maintain secrecy & confidentiality during preparation of question papers. When all questions set, then we prepare a secure CD/DVD and seal them. That can only open at the time of printing. We assure you of high quality of work with utmost sincerity and confidentiality. We can assure you of our capability and reliability in each step of executing such kind of jobs to maintain confidentiality. We assure you to accomplish such jobs to the best of your satisfaction, strictly maintaining secrecy norms, according to your time schedule and at most competitive price. Question paper printing in a highly secure place is must for any examination. The question paper printing is a very sensitive work. The place where question paper printed should be secure by latest technologies like CCTV Camera, Bio-Metric attendance verification and heavily guarded. We assure you that we provide the highly secure and confidential environment in question paper printing work. Our printing press location is very confidential and without advertisement. Client can fully trust on us.